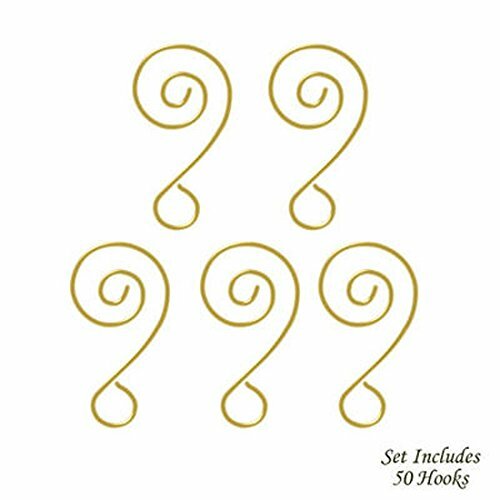 Darice Scroll Wire Ornament Hook Add a Bead - 2'' GOLD 6pk/108pcs. Wire metal alloy. Add beads to the hooks to create an elegant look.